What if that hammer is one’s health or medical profession and all the associated knowledge that goes along with it? The main point of this study was to examine whether physicians with a given specialty have a bias in diagnosing cases outside their own domain as being within that domain. The answer appears to be yes, and several pieces of evidence support this view. It is particularly interesting to note that generalists do better than the baseline, whereas specialists tend to be biased toward their own specialty. I once heard a well known therapist explain “I only treat [very specific spinal joint] problems these days”. A rather clever person on the periphery of the conversation asked “How do the patients know that they have a [very specific spinal joint] problem before they come to you?” and moved on, leaving the therapist looking a bit like they had been hit with the very Golden Hammer of their own making. The danger of expertise and specialisation then, is beautifully summed up in the quote above. 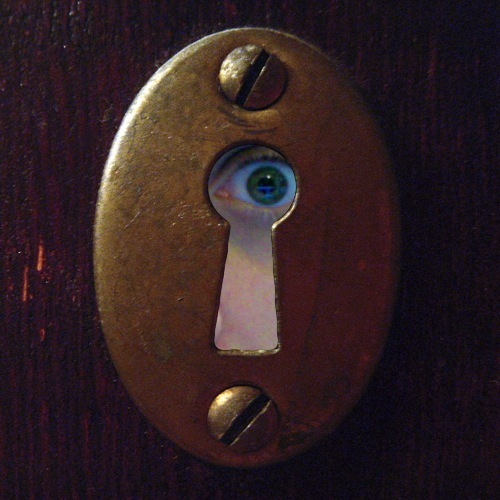 The deforming keyholes that we look through can take on many shapes, from professional titles such as doctor, surgeon, physiotherapist, psychologist, chiropractor, to subprofessional specialties – neurology, orthopaedics, musculoskeletal, cardio-thoracic, pain (of course, we are players all, on this stage), and so on. The temptation is to suggest that we simply stop looking through the keyhole and open the door, but this is clearly no easy task.